This colourful companion to Alligator Alphabet and Counting Cockatoos introduces young children to basic opposites as they meet a parade of exotic and familiar creatures. 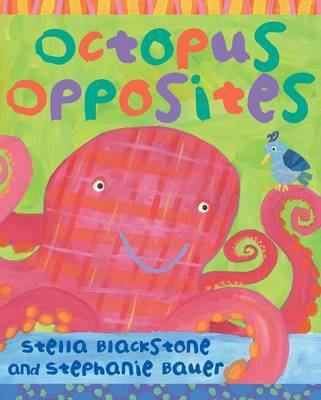 With bright and distinctive illustrations in Stephanie Bauer's child-friendly style, "Octopus Opposites" will be an instant favourite with parents and young readers. Education Market explores opposites with reference to animals and includes visual information about different habitats. This title can be combined with "Alligator Alphabet", "Counting Cockatoos" and "Alligator Alphabet" floor puzzle (9780000888037) and "Counting Cockatoos" floor puzzle (9780735308398).